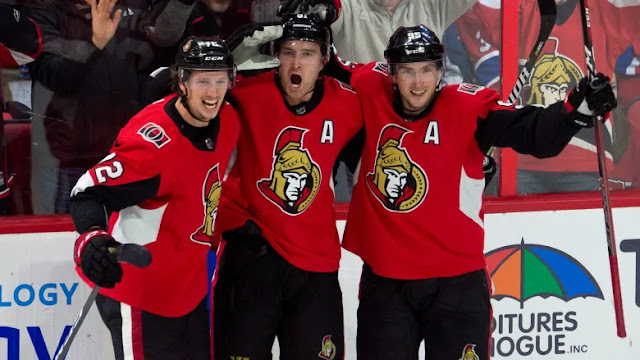 As the clock ticks towards the February 25th trade deadline, a lot of eyes are on the Ottawa Senators and what they do with their two key pending UFAs, Matt Duchene and Mark Stone. The former has generated most of the buzz, but Stone might actually be the player teams want more. Whether he becomes available is a whole other question. While Duchene seems the more likely of the two to get moved, Stone is more of a toss-up. Among the teams rumoured to have interest in Stone are the Vegas Golden Knights, but more teams will come to light. Erik Gudbranson's name has been in the rumour mill for a number of years, and though he's signed to an extension in Vancouver, that hasn't stopped teams from exploring the possibility of a trade. Among the teams that have already or plan to kick tires: the Florida Panthers. Gudbranson was the Panthers' first round pick in 2010, so the organization is familiar with what he brings. The rebuild is officially over in Toronto as reports surface suggesting the Leafs' first round picks could be in play this deadline. The Leafs have made it a priority to add a defenseman - preferably one with term - to their iffy blueline for the stretch drive.